A laidback lifestyle and pride in diverse cultures mark the sun, sand, and coastal attractions of the Caribbean-inspired southern Florida and Miami metro region. Read more about South Florida. We stand behind all Best Pick companies with the Best Pick Guarantee. We’ve done your homework for you and picked the best companies out there, but just in case your experience isn’t perfect, we’re here to help. View complete terms and conditions. Select the right company for your project with the help of your neighbors. We provide a list of qualified professionals recommended by your neighbors and reviews from actual homeowners in your area. 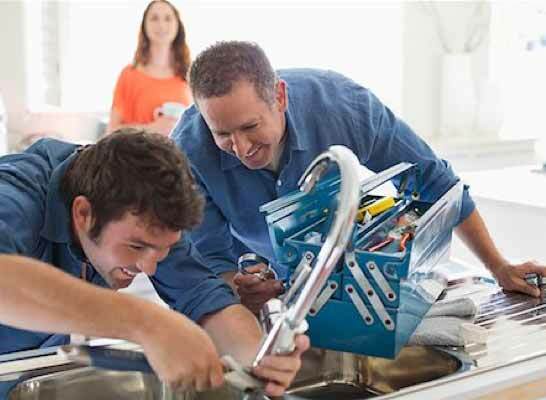 The Home Improvement Blog features the latest industry trends and maintenance advice to help you stay informed while caring for your home. Your report's sort of my go-to book; it's helpful to me. It's well organized, and I have used your recommendations for basically everything. The guys that are in Best Pick Reports are the guys with the best reputations. I picked my roofing company out of the book, and they were absolutely fabulous. Now, I'm holding onto Best Pick Reports for the future, because I was so impressed. I love this book; I get all of my workers out of it. Whenever I have a home problem, I go to Best Pick Reports first. I didn't use the book to find a lawn service, and I've regretted it. Best Pick Reports was heaven-sent. The report had much better descriptions than any online services. I rate it an A+. It was great, and it really has saved us. We love Best Pick Reports. We use it for everything. It helps reduce our choices, which is great, especially when you're busy. It gives you some options, but you still feel safe no matter which one you pick. Keep your books coming. I keep a copy at home and at the office. I would give the book an A grade. I think it's great. I love Best Pick Reports. It's hard to find good people to do work for you, so when I got Best Pick Reports, it was like it dropped out of heaven. I got everybody on the homeowners' board a book. I appreciate everything that you do. Our homeowners' association gave me a copy of Best Pick Reports. I think it's a great help, and I found a plumbing company in there. It definitely takes out the guesswork with some things about finding a contractor. It's comforting to know that someone's kind of got your best interests in mind. I'm the president of our HOA, and Best Pick Reports is great. Now when one of my neighbors calls me and says, 'Hey, I've got this problem,' I can actually look in that book and say, 'These people are recommended.' It's great. I'm very thankful for Best Pick Reports. When I have a major job to do, like a deck or a floor or something, I always look through that book first. I always use them because I trust them to be neutral and honest. What I like about Best Pick Reports is all of the advice it gives. When you're calling a company, you may not know what they're talking about, but with the educational information in this book, I was more prepared than ever. The information is so useful. To find people who consistently do good work is nearly impossible. Finding out about Best Pick Reports was like a lifesaver. This book is awesome. It saved me the day that I had an emergency and needed to find someone quickly. I love it, and I think it's a great book. It showed up in the nick of time. This book is great. As a new homeowner, I don't have a lot to go on when looking for companies. I get some recommendations from friends, but Best Pick Reports lists people I know can do the work for me. I appreciate this book a lot. Best Pick Reports is a good source. It beats just randomly trying to go through a phone book or the computer. I like the idea that people can't pay to be recommended. It's a good book, and I've used it. I use Best Pick companies a lot, and it's been brilliant. Every contractor I got out of the book has been really good. I just moved here, so I don't really know too many companies out here yet. We've used a couple people out of your book, and we've been very impressed with all of them, very happy; roofers, sprinklers, and others too. We're very impressed with everybody out of this book. We always keep Best Pick Reports in case something comes up. It's helpful, especially moving to a new area and really not knowing who to call. That's why we keep the tear-out of names and numbers on the side of the fridge. I'll be using Best Pick Reports for all the work I need done. I use it, and I love it. We're remodeling our home's interior and exterior, and we use Best Pick Reports as a resource. It's very handy. Take Best Pick Reports with you! company you are looking for—anytime and anywhere. Download it for your iPhone® or Android™ smartphone today! A slender strip of cities carved out from the wild landscape of the Everglades, the South Florida metropolitan area stretches along the Atlantic coast from northernmost West Palm Beach through Fort Lauderdale, Pompano Beach, and Boca Raton to vibrant, notorious Miami, earning its “Gold Coast” moniker from the marriage of glamorous urban centers to unbroken miles of pristine beach and the ritzy lifestyle of its residents. Served by five interstate highways, three major airports, and the world’s busiest cruise ship port, South Florida welcomes a constant flow of travelers from around the globe, both as a destination hotspot and a gateway to the Caribbean. Snowbirds famously flock to the area for a winter respite, drawn to its tropical climate, sprawling beaches and golf courses, and sparkling street life. In addition to tourists, South Florida is likewise attracting more and more permanent residents. Miami-Dade, Broward, and Palm Beach counties experienced rapid growth in recent years, surpassing a collective population of six million with no sign of slowing down. The vast majority of new residents hail from Caribbean and Latin American countries, all of whom contribute towhat some are calling South Florida’s cultural renaissance. Many South Florida homes draw design elements from traditional Spanish- and Mediterranean-style architecture, including stucco exteriors paired with clay-tile roofs, stately arched entryways, and wrought-iron trappings. Interiors often feature open floor plans to encourage airflow, and plenty of emphasis is put on lush landscaping, pools, and outdoor living areas. Naturally, residential spaces in South Florida are as diverse as the community, varying from Spanish Revival colonials to luxury high-rises, Art Deco beachfronts to city apartments, and copious retirement housing. South Florida is currently the nation’s eighth largest metropolitan area, and with its numbers swiftly climbing, competition is steep for home buyers, particularly first timers. Mid-market homes fall between $300,000 and $600,000, and the number of these listings is dwindling. Meanwhile, as single-family homes are spending less time with a For Sale sign in the yard, luxury condos are experiencing a lull in market activity, driving down prices in some of the nation’s priciest cities. South Florida’s characteristically warm, humid weather persists year-round, and many homeowners celebrate the tropical climate by investing in their outdoor spaces. Landscaping and pool service companies are extremely busy during peak spring and summer months, so we encourage scheduling installations, renovations, and other work well in advance to ensure prompt service at the lowest rates. Likewise, arranging a pre-season checkup with an air conditioning professional can help prevent a system failure during the hottest part of the year, when HVAC companies are in high demand. South Florida weathers its fair share of hurricanes and tropical storms, so most window and door companies offer hurricane shutters and impact-resistant windows and doors, which are designed to protect against damage from wind, rain, and airborne debris. Should a natural disaster occur in your area, know the contact information of a qualified disaster restoration company. Quick action is key to preventing further damage and returning your home—and your life—to normal. Working with a licensed, experienced contractor will save you time, money, and frustration. We verify every company we promote and guarantee their work, so you can hire an A-Rated Best Pick contractor with confidence. All Best Pick companies must meet the insurance and license requirements of the areas they service, and they must also carry general liability insurance. Licensing requirements in Florida vary depending on service category. 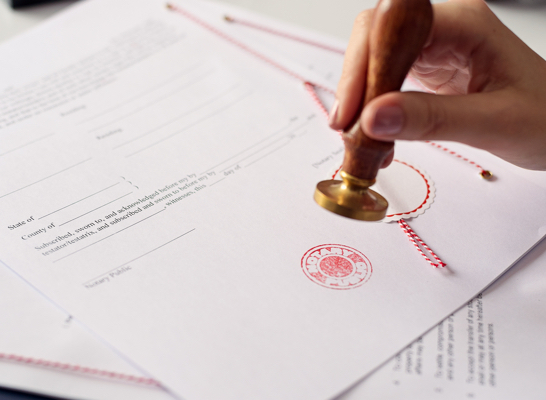 Most trade service contractors, such as electricians and plumbers, are required to hold either a state-issued license or a county-issued license that has been registered with the state. In general, contractors who provide home improvement services, like painters and flooring companies, will hold a license for each county they serve, although larger companies who operate across multiple areas have the option to carry a state-issued general contractor license. Certain services, including housecleaning, landscaping, appliance repair, and energy audits, do not require a license. For more information, visit the website of your state or local government. Have Best Pick Reports delivered to your door - free of charge. Join our home care newsletter. and other curated home improvement content.